Campaigning in one of the contests for a key U.S. Senate seat, Vice President Joseph Biden said that keeping control of the Senate by the Democrats would break the hard right’s back and ease some of the Washington gridlock. Biden said that the choice next week between Bruce Braley the Democrat and Joni Ernst the Republican for the open seat in the Senate in Iowa was critical for power in the chamber. If Braley can win and the Democrats can maintain the majority, Biden said the Republicans in Washington would be open to more compromises with the Democrats on certain issues including increasing the federal minimum wage. Biden was just the latest in a line of high-profile visitors to Iowa as Braley, a congressman of four-terms seeks to win a tight race with a late surge. On Wednesday, Hillary Clinton will visit Iowa and her husband, former President Bill Clinton arrives on Saturday. Biden was traveling as well to Rockford, Illinois to campaign for Governor Pat Quinn and Representative Cheri Bustos. While in Iowa. Biden appeared with Braley and Dave Loebsack a member of the U.S. House of Representatives who is attempting fend off a difficult challenge from the Republicans in a tight race for his fifth term. Biden announced he has struggled in trying to negotiate compromises with the Republicans within the Senate and House over the last four years due to the deals not being palatable for members of the Tea Party in the two chambers. He warned that if the Tea Party were not stopped the Republicans in the Senate and House who know better, would never have the courage to vote the right way. The Republicans must gain a net of six seats to take control of the U.S. Senate. Biden warned that if conservatives like Ernst win, the moderate Republicans would become scared to work together with the Democrats because of worrying about future primary challenges on the right. 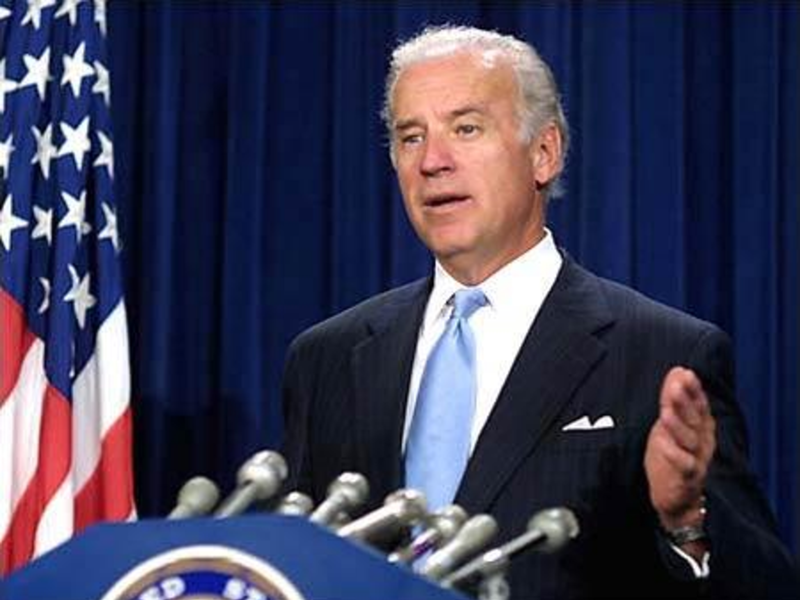 Biden never mentions Braley’s challenger by name, only calling her the candidate running against Braley. He said Ernst’s call for the abolishing of the U.S. Department of Education was not a good idea.